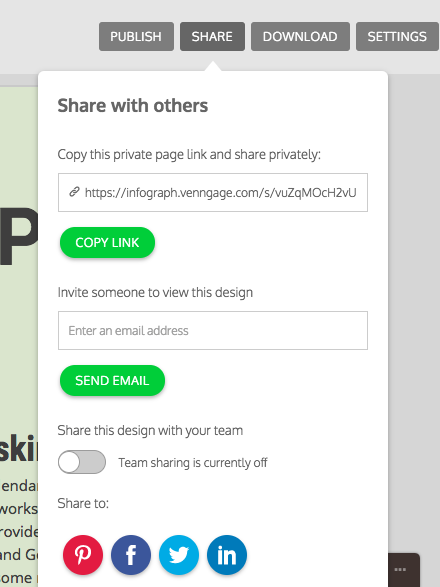 How do I unpublish my infographic or change the privacy setting of my infographic? 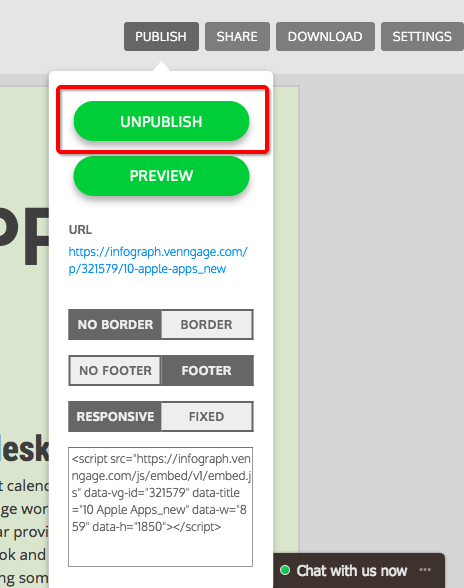 To unpublish your infographic click on the 'Publish' icon on the top right menu bar. 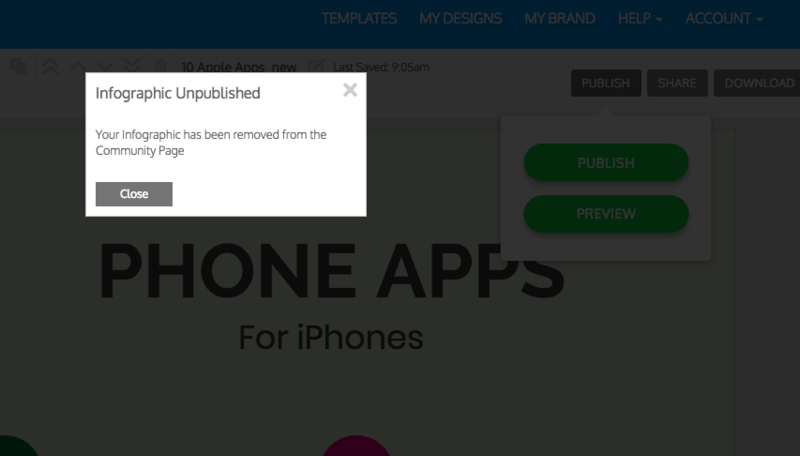 Then, click the 'unpublish' button. 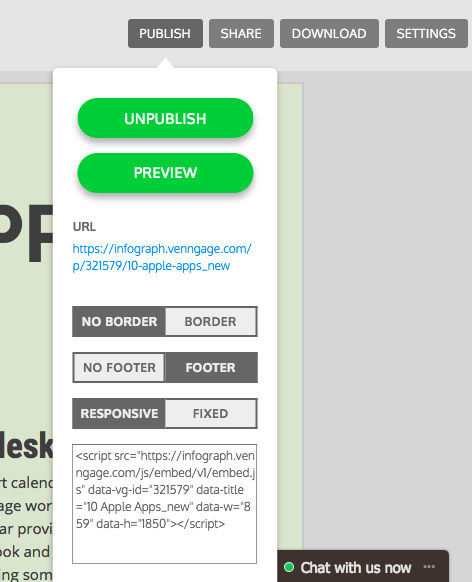 A window will prompt open notifying you that your work has been unpublished. 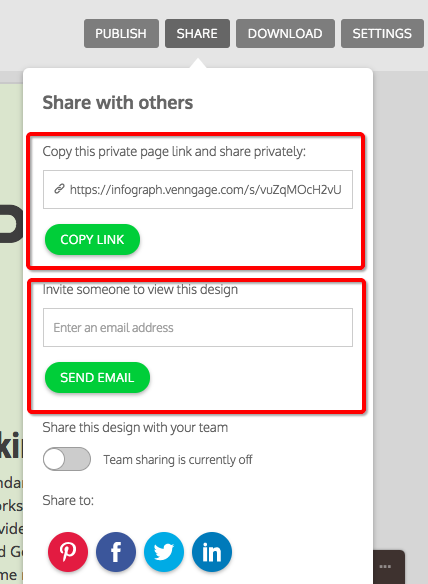 Your privacy settings for your infographic can be found on the share button where you can enable or disable private link views.